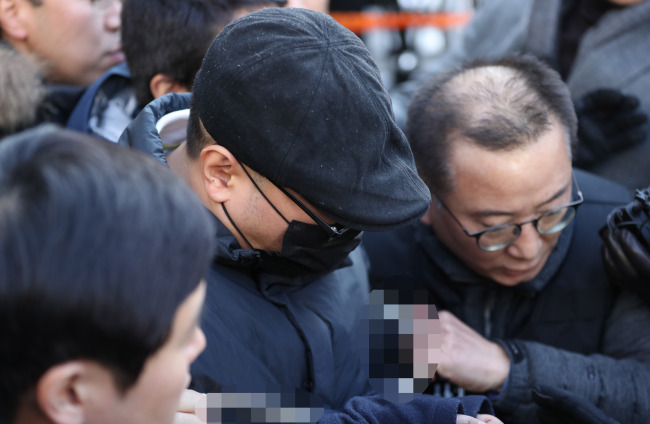 Seoul Central District Court is reviewing a warrant for the continued detention of a man who stabbed his doctor to death Monday. A decision is expected Wednesday night. The 30-year-old patient, surnamed Park, allegedly wielded a knife at the psychiatrist at 5:44 p.m. Monday. The doctor, surnamed Lim, ran from the consultation room but was caught by the patient in the hallway and stabbed several times in the chest. Lim was rushed to the emergency room but was pronounced dead at around 7:30 p.m. on the same day. The suspect was arrested at the scene. The motive for the crime has not been revealed yet, as Park has been making incoherent statements, police said. The police are investigating the exact circumstances surrounding the crime by reviewing footage on security cameras and eyewitness accounts. The autopsy on Lim was to be performed Wednesday. According to police, Park has been suffering from bipolar disorder, a mental illness that causes extreme fluctuations in one’s mood. Park was hospitalized for about 20 days in 2015 at the psychiatric ward and received treatment for the disorder at the hospital in 2017. On Monday, Park visited the hospital to see the doctor without an appointment. Lim, who was known as an expert in depression and anxiety disorders, had been treating mental illnesses over the last 20 years. He published a book for patients suffering from depression in 2016 and more than 100 academic papers on psychiatric issues.